Focal announces Aria 900 range of affordable speakers | What Hi-Fi? Focal has announced a new line of affordable loudspeakers, the Focal Aria 900. Available in four sizes, including three 3-way floorstanders and a 2-way bookshelf speaker, the Aria 900 range will gradually replace the Chorus 800 V range, and will be available in a choice of walnut or black gloss finishes. There is also a centre channel and a set of speaker stands available. It is the first range from Focal that uses the new “F” cone – a more cost-effective cone made from flax fibre – instead of the labour-intensive “W” cone found in its pricier ranges. The cost saved here (the “W” cone cost is around double the price of the “F” cone, as each is hand made) allows the Aria 900 to launch at a much more reasonable price point than its predecessors, while still delivering a performance close to that of the premium models. Other improvements include a new injected Zamak basket for maximum rear decompression and a new TNF tweeter with Poron suspension for a more consistent frequency response. 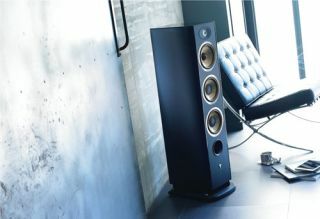 The Aria 900 range launches in October, with prices starting from £760 for a pair of the Aria 906 bookshelf speakers.